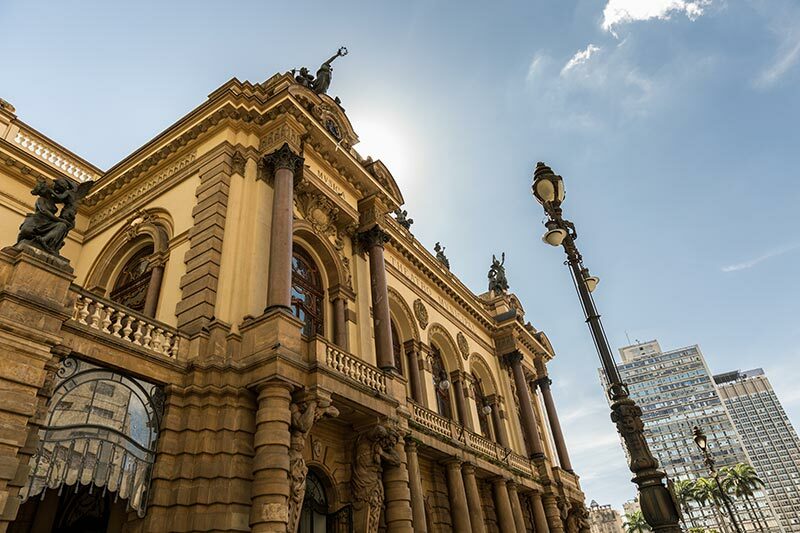 As the largest city in South America, Sao Paulo has a plethora of things to see and do that will have you running around trying to find time for them all. Sounds exhausting? It can be, so the best thing to do is arrive refreshed and ready with business class flights to Sao Paulo. The professional consultants at Just Fly Business will find you the best cheap business class flights to Sao Paulo.  With their extensive product knowledge and 98% customer service rating, we’ll ensure you get the best value trip to suits your needs. Organising business class flights to Sao Paulo can be daunting, and shopping around to make sure you get the best value option can take a lot of your time. At Just Fly Business we take the hard work out of searching with our contracted rates that are often significantly cheaper than booking direct with the airline. Travelling long-haul for business or leisure, flying in comfort and style while receiving the exceptional level of service of a premium cabin becomes a requirement.  Just Fly Business’ friendly team work with all major scheduled airlines to ensure you get the best deal, or we can tailor an ATOL protected package including hotels, car hire, transfers, and all other aspects of your trip so that all you have to do is enjoy your destination. Unwind in this immense green space in the city centre or wander through and discover monuments, playgrounds, gardens, lakes, and performance spaces. Popular with tourists and locals alike, Ibirapuera Park also houses several the city’s museums, such as the Museum of Modern Art, the Aeronautics and Folk Art Museum, and the Museum of Contemporary Art, as well as a planetarium. Insider’s Tip: Hire a bike and meander through this great park, making sure to pause at the obelisk commemorating those that gave their lives in the 1932 revolution and the Bandeiras Monument honouring the 17th century settlers that opened up Brazil’s wild interior. Completed in 1911 after 8 years of construction, the Teatro Municipal is modelled after the Paris Opera House in a spectacular mix of Art Nouveau and Italian Renaissance styles. Recently restored to its original glory in 1991, the theatre continues to play host to internationally renowned performers and can be toured in English on specific days to experience the grandeur of the building both outside and in. 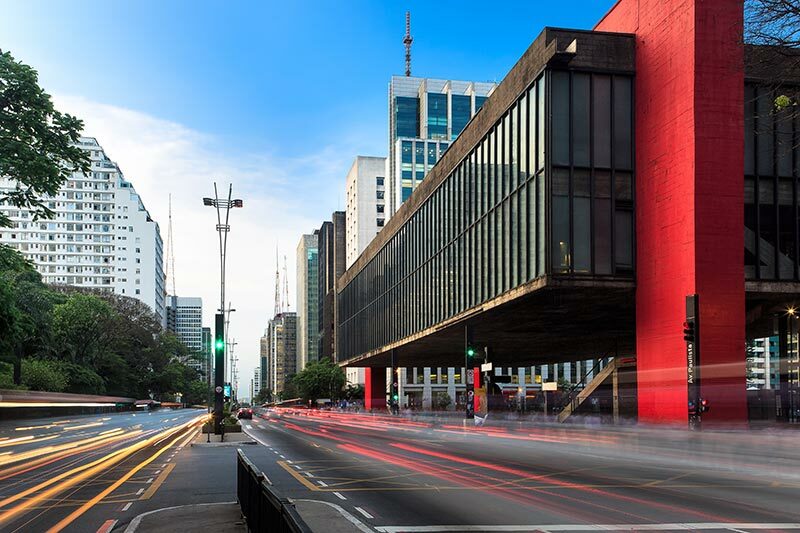 One of the most important museums in the Southern Hemisphere, the Museu de Arte (known as MASP) has a collection of over 8,000 pieces and includes both famous Brazilian artists and an impressive collection of acclaimed international acquisitions. Often considered in the same league as the Tate Modern, MoMA, and Centre Pompidou, MASP is an art lovers dream, with examples of Rembrandt, Renoir, Van Gogh, Picasso, Manet, Cezanne, and Degas to name a few. Insider’s Tip: Although the most tantalising of Sao Paulo’s museums, MASP is by far not the only gallery or museum in this cultural city. Try Pinacoteca do Estado for Brazilian art, or submerge yourself in the national sport and visit the Museu do Futebol, full of interactive displays that are perfect for the young and the young at heart! Latin America has become increasingly famous for its amazing street art scene, and there is nowhere better than Beco do Batman in Vila Madalena. The walls of the alleyway have been getting painted here since before street art became popular, and the quality of the work has made this a busy tourist attraction, often so much so that vehicles are not able to navigate through. The centre for activity in Sao Paulo, Avenida Paulista was once filled with residential mansions of coffee barons. Today it is the major business, shopping, and dining district in the city, and at over 1.7 miles long it provides almost endless choices of stores and restaurants. 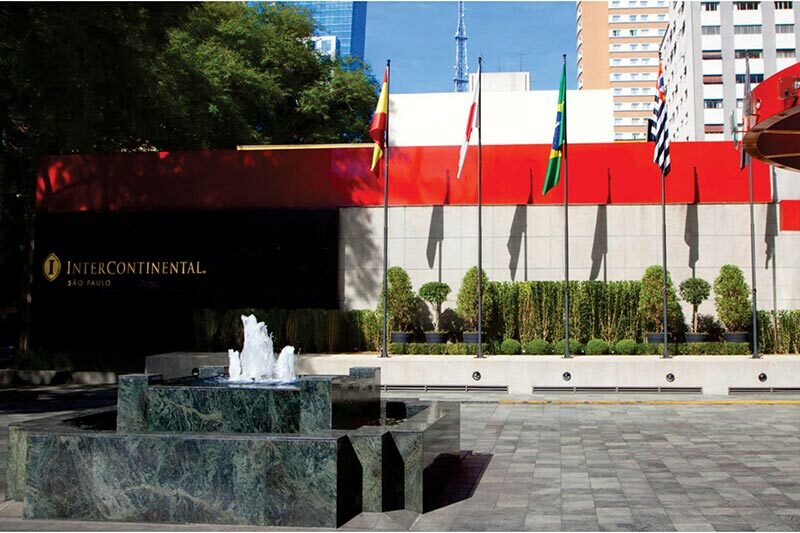 Perfectly located near Avenida Paulista, the InterContinental Sao Paulo has 9 meeting spaces of varying sizes. Voted Best Hotel in South America by Conde Nast in 2016, the Hotel Unique provides state of the art technology in a location close to Ibirapuera Park. As one of the major gateways for Brazil and South America, Sao Paulo is ideally located for business trips and holidays. The rest of the continent is easily reached on short flights, including the beautiful and festive Rio de Janeiro and the vibrant Buenos Aires. The only airline with direct to Sao Paulo with a business class cabin is British Airways. At nearly 12 hours flight time, the option of being in business class will mean a more streamlined journey with priority boarding and baggage as well as the benefit of lie flat beds and lounge access to ensure you arrive refreshed and ready for your business meeting or holiday. If you don’t mind a single connection breaking up the journey, many other airlines including Delta Air Lines and Air Canada offer flights routing through North America. Using their international business class product for both legs means the comfort of lie flat beds coupled with the hospitality of North American service.  Single connections are also available through European hubs, such as KLM through Amsterdam and Swiss Airlines through Zurich.  Because these airlines service many regional UK airports they may be a more suitable option if departing from outside London, and continue to provide exceptional business class flights to Sao Paulo on their long leg. Spending a minimum of 12 hours on a plane is always draining, but with business class flights to Sao Paulo it doesn’t have to be. Relax with pre-departure features such as lounge access to finalise the day’s work or grab a meal and beverage before being greeted with a smile and a drink as you board. Lean back and enjoy the premium entertainment and dining options and then get some decent sleep in a lie flat bed before landing in your destination. With long haul flights to Sao Paulo, business class is a valuable commodity!